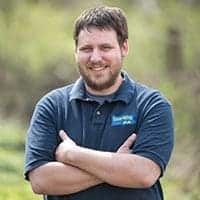 Pennsylvania’s roads are notoriously bad, and if you’ve ever traveled in the state, it’s likely that you’ve hit a pothole at some point in your life. 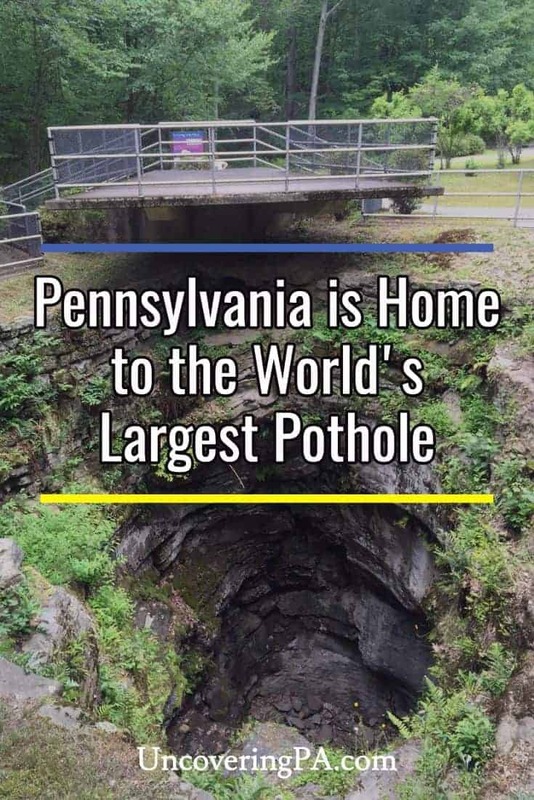 Because of this, it likely won’t surprise you that Pennsylvania is home to one of the world’s largest potholes. 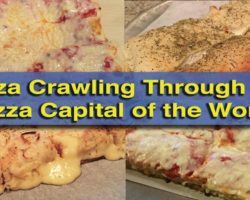 However, this isn’t the kind of pothole that you’ll find on the road. 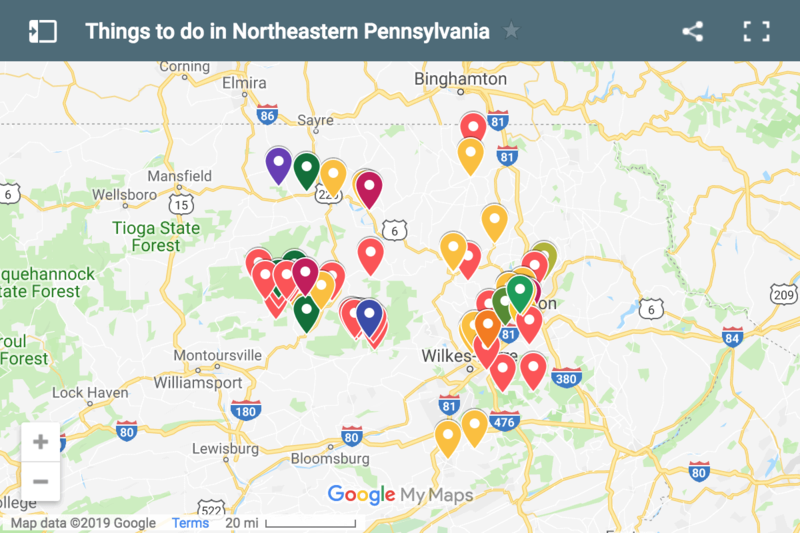 Instead, it’s a roadside oddity along Route 6 that’s worth seeing if you’re driving through northeastern Pennsylvania. 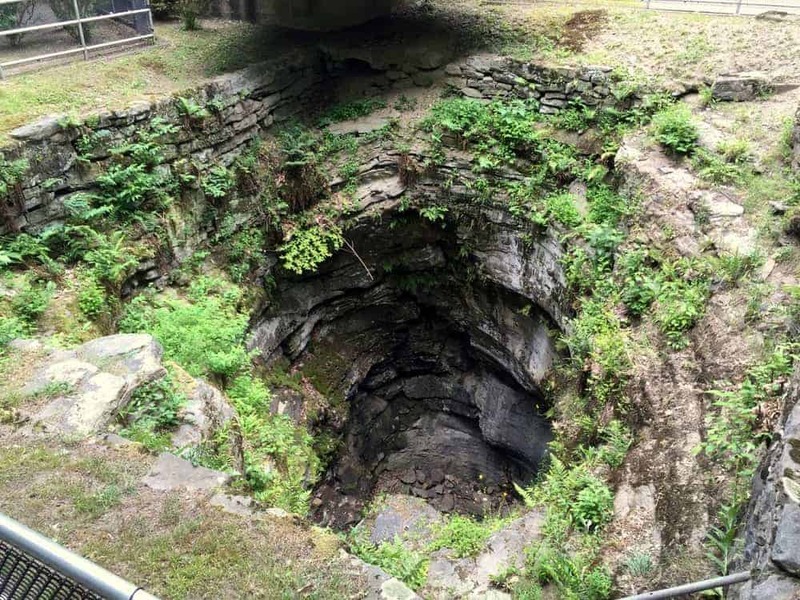 The Archbald Pothole was discovered in 1884 by coal miners who were expanding a mining shaft in the region. Upon setting off a blast, water and stones came pouring into the mine, causing the miners to run for their lives. Upon returning and clearing out the debris, they realized that they had discovered a large vertical shaft known as a pothole. Very shortly after it was discovered, the pothole became a local tourist attraction. The hole was fenced off and tours were led to show curious locals this large and natural hole. 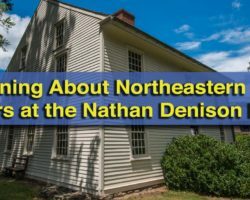 In 1914, the land was deeded to the Lackawanna Historical Society when the landowner died. After serving as a county park, the land was given to the state and Archbald Pothole State Park opened to the public in 1964. Archbald Pothole State Park is 150 acres in size, but there isn’t much traffic outside of the few acres surrounding the pothole. In fact, while I’ve heard that there are some unofficial trails in the park, the official park map shows nothing other than the pothole. To be honest, the Archbald Pothole looks like simply a big hole in the ground. At 38 feet deep and up to 42 feet wide, it’s a pretty big hole, however. It was created during the last ice ago by receding glacier meltwater. The swirling water wore away the layers of sandstone, shale, and coal. The pothole was filled with debris as the glacier retreated and was left undisturbed for more than 10,000 years. Smaller versions of this pothole can be found at Seven Tubs Natural Area near Wilkes-Barre. 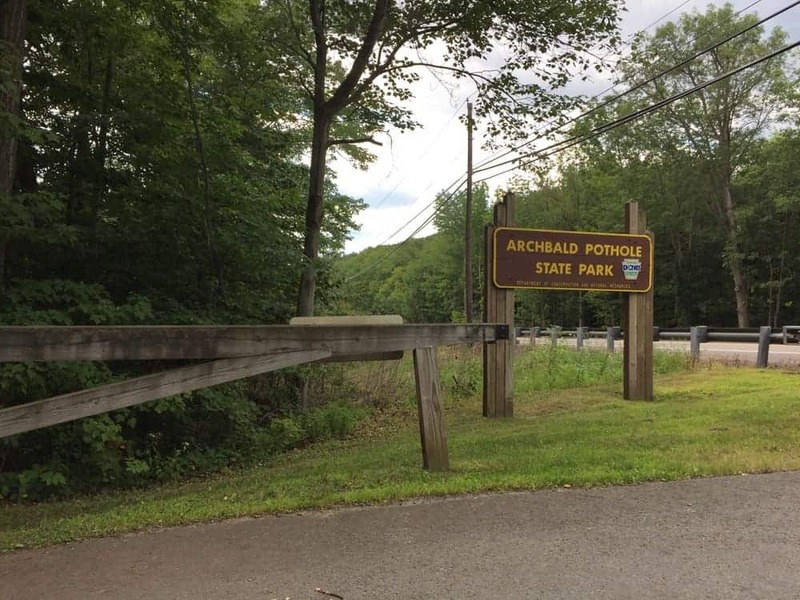 Archbald Pothole State Park is a worthwhile stop along Route 6 in Lackawanna County, PA.
Archbald Pothole is located next to a parking lot, just a couple hundred yards from Business Route 6. 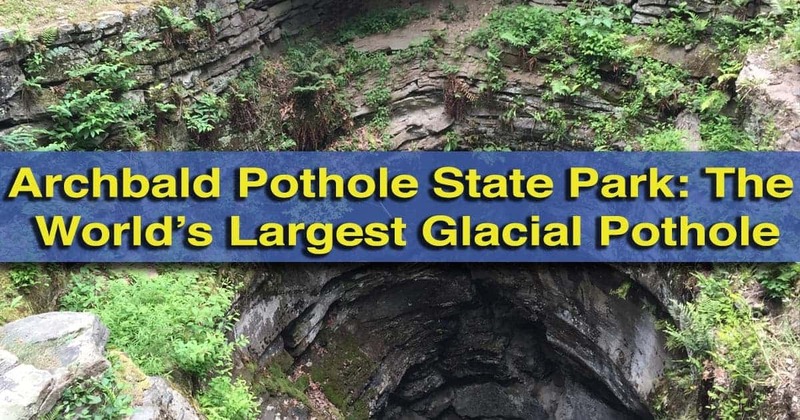 Because of this easy accessibility, a visit to the park is very easy, and it’s possible to see the pothole and be back on the road again in just a few short minutes. The pothole is surrounded by fencing and a small wooden viewing area has been built to give visitors a good look into the hole. Unfortunately, some have been trying to refill the pothole, but this time with trash instead of rocks. 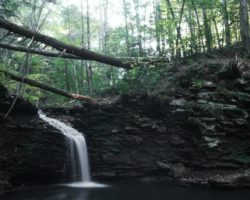 I’m not going to lie and say that Archbald Pothole State Park is Pennsylvania’s most beautiful park or even that it’s worth a long drive to see. 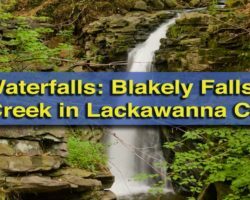 However, if you find yourself traveling Route 6,in the Scranton area, or visiting nearby Blakely Falls, it’s a somewhat interesting roadside oddity that’s worth seeing simply for its uniqueness as the world’s largest glacial pothole. The entrance to Archbald State Park along Business Route 6. 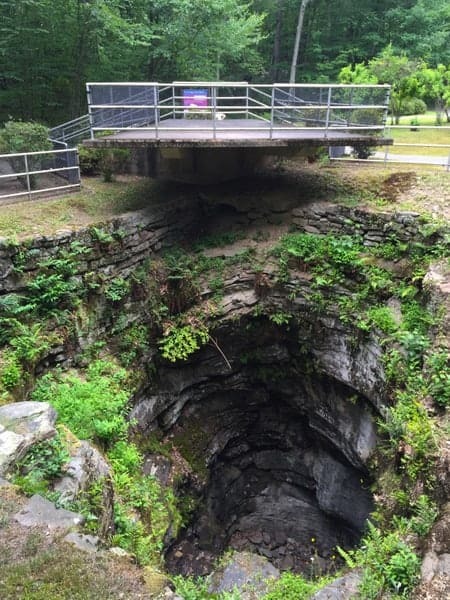 Archbald Pothole State Park is located on Business Route 6 between Blakely and Mayfield, roughly 20 minutes north of downtown Scranton. It is located at the following coordinates: 41.513005, -75.575616. The pothole is located directly next to the parking area. remember riding the St Ann’s Academy school bus from WB with Mrs. Callahan and my Earth Science class to view the pot hole on a field trip.